Ravi’s research is multi-disciplinary and industry-relevant. It explores the evolving relationships between IT-enabled innovations and performance. He works in two particular areas, the first exploring how these innovations are effectively adopted and used in organizations, supply chains, health care, public distribution and education. The second examines the role of these innovations in improving students’ learning experiences, skills and ‘work-readiness’. His research was published in several leading international journals including Information Systems Frontiers, Australian Accounting Review, Business Process Management Journal, Engineering Management Journal, Assessment and Evaluation in Higher Education, Management Review and others. Ravi’s research was funded by national grants, university/school grants and large Australian teaching and learning research grants. Ravi teaches accounting systems and management accounting in the discipline and earlier taught process management, enterprise systems, operations management to undergraduate, post graduate, MBA and executive MBA students at the University of Western Sydney, Macquarie Graduate School of Management and Queensland University of Technology. He led the introduction of several curriculum design initiatives and teaching and learning innovations. Before moving into academe Ravi had 9 years of management consulting and training experience and still maintains a strong engagement with industry and practitioners. He is regularly invited to train visiting senior executives from Chinese industry on enterprise systems and process management. 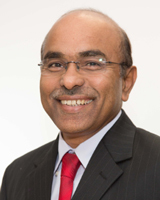 He served in the Supply Chain Council ANZ board as its chairperson and board member for a number years and now serving as an invited member in the Education committee for the Association for Information Systems, APICS Supply Chain Council Research committee and member of the governing council of a higher education institution. He is currently working on three collaborative research projects – i) adaptation of information systems for sustainability performance management and reporting, ii) analysis of impact and implications of digital disruption in public health and public distribution systems in India, and iii) comparative effects of culture on information load and honesty in managerial reporting. Ravi won Sydney University Business School teaching excellence award, Kit Dampney prize for information systems teaching and research excellence and three best research paper awards in international conferences. He currently serves as a chair person for the business school ethics review committee and university academic board nominee. Ravi’s service to the community include: Associate Editor and Track chair for several international conferences (International Conference on Information Systems (ICIS), ACIS, PACIS, HICSS); Regional editor for the International Journal of Operations & Quantitative management, reviewer/associate editor for Information Systems Research, Information systems frontiers, BPM journal, Australian Accounting Review and Abacus. Ravi’s research is multi-disciplinary and industry-relevant, exploring the evolving relationships between Information Technology (IT) enabled innovations and performance. Employing cross-sectional field study, case study and experimental methodologies, he works in two particular streams of research. The first stream explores how these IT-enabled innovations can be effectively adopted and used in organisations, supply chains and healthcare. The second examines the role of IT tools in improving business students’ learning experiences, skills and work-readiness. Ravi’s recent work ‘design and adoption of a mobile-based IT solution for Tuberculosis (TB) treatment monitoring in India’, undertaken jointly with the Digital Innovation Lab, Indian Institute of Management Bangalore was funded by the Centre for Digital Financial Inclusion (CDFI) and Australian Department of Foreign Affairs (DFAT) Australia India Council. Extending this work, Ravi is now investigating the access and adoption of digital technologies such as block chain, smart contracts and cashless payment systems in public health and public distribution domain in India. Outcomes of these projects inform the government policy makers and NGOs on the nature and extent of problems of inclusion at the bottom of pyramid. Jointly with Indian Institute of Technology Madras India, Ravi is working on a project that analyses the antecedents and challenges in the adoption of analytics solutions in hospitals in India. Jointly with professors at the University of Stuttgart and University of Aschaffenburg, Germany, Ravi explores the comparative effects of culture on information load and honesty in managerial reporting using an experimental methodology. Ravi’s third project, in collaboration with Associate Prof Geoff Frost, analyses the adaptation of enterprise-wide accounting information systems for sustainability reporting and sustainability performance management in business organisations. Given the increasing importance of sustainability, this project offers insights into the state of practice and the evolving nature of information systems and reporting processes, and helps business organisations better prepare for future sustainability reporting regimes. Ravi champions and promotes better integration of IT into elements of discipline curriculum, as well as experimenting with new forms of student-centred work integrated learning and blended learning. In collaboration with colleagues in the Discipline of Accounting, Ravi is currently studying the effectiveness of blended learning and work integrated learning. Pedell B, Roetzel P, and Seethamraju R (2017) Information Load, Escalation of Commitment and Culture 23rd Americas Conference on Information Systems AMCIS; Association for Information Systems (AIS), United States. Seethamraju R, and Diatha K (2017) Digitalization of Small Retail Supply Chains in India - Antecedents and Challenges The Production and Operations Management Society (POMS) 2017 International Conference; The Production and Operations Management Society (POMS), Sydney, Australia. Seethamraju R, and Frost G (2016) Information Systems for Sustainability Reporting - A State of Practice 22nd Americas Conference on Information Systems; Association for Information Systems (AIS), San Diego. Seethamraju R, Diatha K, and Garg S (2014) Service Process Mapping and Mobile Workflow Solutions in the Monitoring of Tuberculosis (TB) Treatment in Regional India NITE-POMS 2014 Conference 2014 Manufacturing Excellence: Imperative for Emerging Economies; Excel India Publishers, New Delhi, India. Seethamraju R (2014) Information Technology; University of Sydney Details Findings in Information Technology (Enterprise systems and demand chain management: a cross-sectional field study) (Enterprise systems and demand chain management: a cross-sectional field study) Computer Weekly News . Seethamraju R (2013) Determinants of SaaS ERP Systems Adoption 17th Pacific Asia Conference on Information Systems (PACIS) 2013; The Korean Society of Management Information Systems, Jeju Island, Korea. Seethamraju R (2012) Work Integrated Learning (WIL) Through a Field Project - A Study of Design, Delivery & Challenges 16th Pacific Asia Conference on Information Systems PACIS 2012; Association for Information Systems (AIS), Ho Chi Minh City, Vietnam. Seethamraju R (2011) Enhancing Student Learning of Enterprise Integration and Business Process Orientation through an ERP Business Simulation Game Journal of Information Systems Education, 22 (1), 19-29. Seethamraju R (2011) Design and Evaluation of a Work Integrated Learning (Wil) Initiative in an Accounting Information Systems Course 2011 International SIGED: IAIM Conference; International Academy for Information Management (IAIM), Pretoria, South Africa. Seethamraju R (2011) Enterprise Systems and Demand Chain Management International Conference on Information Technology, Systems and Management ITSM 2011; Indian Institute of Management - Kozhikode, Kozhikode. India. Seethamraju R (2011) Effectiveness of Online Discussion Forum for Case Study Analysis and Assessment 11th International Conference on Electronic Business: Borderless E-Business for the Next Decade; Thammasat University, Bangkok. Seethamraju R (2010) Information Technologies in Accounting Education 2010 International SIG-ED: IAIM Conference; International Academy for Information Management (IAIM), United States. Seethamraju R (2010) Demand-Chain Management and Enterprise Systems - A Case Study Pre-ICIS (International Conference on Information Systems) 2010 Workshop on Enterprise Systems Research in MIS; Queensland University of Technology, Australia. Seethamraju R (2010) Business Process Management- A Missing Link in Business Education 16th Americas Conference on Information Systems (AMCIS 2010); Association for Information Systems (AIS), Atlanta. Seethamraju R (2009) Managing Supply Chain Risk- Role of IT/IS Ninth International Conference on Electronic Business ICEB 2009; International Consortium for Electronic Business, Hong Kong. Seethamraju R (2009) Sense and Respond Capability - Study of the role of Enterprise Systems 7th Annual Conference on Information Science, Technology & Management (CISTM 2009); Virginia Commonwealth University, United States. Seethamraju R (2008) Role of Enterprise Systems in Achieving Supply Chain Integration International Journal of Business Insights and Transformation, 1 (1), 18-25. Seethamraju R (2008) Enterprise system's characteristics in small and medium sized enterprises context - a case study European and Mediterranean Conference on Information Systems - EMCIS 2008; Information Systems Evaluation and Integration Group (ISEIng), Dubai, United Arab Emirates. Seethamraju R (2008) Enhancing student learning of enterprise integration through ERP business simulation game AIS SIG-ED IAIM Annual International Conference; Association for Information Systems (AIS), Paris, France. Seethamraju R (2008) Building Supply Chain Integration Capability - Role of Standardization and Integration enabled by Enterprise Systems Global Supply Chain Management: Role of Emerging Economies (IMRC 2008); Indian Institute of Management Bangalore, India. Seethamraju R, and Seethamraju J (2008) Web Services and Business Process Agility - Opportunities and Challenges in Supply Chain Management Context 22nd Australian and New Zealand Academy of Management Conference ANZAM 2008; Australia and New Zealand Academy of Management (ANZAM), Auckland, New Zealand. Seethamraju R, and Seethamraju J (2008) Adoption of ERPs in a Medium-sized Enterprise- A case study 19th Australasian Conference on Information Systems ACIS 2008; University of Canterbury, New Zealand. Seethamraju R, and Seethamraju J (2008) ERP Systems and Managerial Decision Making - A Model for Analysis The Eighth International Conference on Electronic Business 2008 - Enriching Global Business Practices; International Consortium for Electronic Business, United States. Seethamraju R (2007) Enterprise Systems (ES) Software in Business School Curriculum - Evaluation of Design and Delivery Journal of Information Systems Education, 18 (1), 69-83. Seethamraju R (2007) ERP Systems and Decision Support - An Exploratory Study 9th International Conference on Decision Support Systems (ICDSS) 2007; International Society for Decision Support Systems, USA. Seethamraju R (2007) Process Orientation to Business Students - Enabling Role of Enterprise Systems in Curriculum 18th Australasian Conference on Information Systems (ACIS 2007); University of Southern Queensland, Toowoomba, Australia. Seethamraju R (2007) Using online discussion board for case study discussion International Conference on Informatics Education Research (AIS SIGED:IAIM 2007); International Academy for Information Management (IAIM), United States. Seethamraju R (2007) Influence of Enterprise Systems on the Management and Performance of Supply Chains 13th Asia Pacific Management Conference -Managing Transitions in the Asia Pacific: Globalization and Localization; Monash University, Australia. Seethamraju R, and Marjanovic O (2007) The Role of Process Knowledge in a Business Process Improvement Methodology Seventh International Conference on Electronic Business (ICEB 2007); National Chenchi Univeristy, Taiwan. Seethamraju R, and Seethamraju J (2007) Do Web Quality Characteristics Influence Initial Trust Beliefs? The Sixth Workshop on e-Business Web 2007: Customer-Centric Information Systems; Web 2007 Organisers. Seethamraju R (2007) Enterprise Systems Software in the Business Curriculum: Aligning Curriculum with Industry Requirements Information Systems and Technology Education: From the University to the Workplace; Information Science Reference, Hershey, PA & New York, 57-81. Seethamraju R (2006) Impact of e-commerce on business process redesign and integration International Journal of Electronic Business, 4 (5), 380-400. Seethamraju R (2006) Web Quality - A Study of User Perceptions IIMB Management Review, 18 (1), 15-24. Seethamraju R (2006) Influence of enterprise systems on business process agility ICEB + eBRF 2006 - Research Forum to Understand Business in Knowledge Society; Tampere University of Technology and University of Tampere, Tampere, Finland. Seethamraju R (2006) Enhancing student learning of enterprise integration by deploying SAP/R3 into curriculum ICEB + eBRF 2006 - Research Forum to Understand Business in Knowledge Society; Tampere University of Technology and University of Tampere, Tampere, Finland. Seethamraju R (2006) Best Practice Business Processes in ERP systems and SMEs Internet & Information systems in the Digital Age: Challenges & Solutions - 7th International Business Information Management Association Conference (IBIMA2006); International Business Information Management Association (IBIMA), Italy. Seethamraju R, Leonard J, and Razeed A (2006) Development of integrated learning in business curriculum 2006 annual international conference of the Higher Education Research and Development Society of Australasia Inc (HERDSA 2006); Higher Education Research and Development Society of Australasia, Perth, WA. Seethamraju R (2005) Enterprise Resource Planning Systems - Implications for Managers and Management Australian Accounting Review, 15 (3), 90-96. Leonard J, and Seethamraju R (2005) Towards a holistic understanding of business and an applied understanding of information systems: the use of a 'scaffolding approach' 16th Australasian Conference on Information Systems (ACIS 2005); Australian Chapter of the Association for Information Systems, Australia. Seethamraju R (2005) An Exploratory Study of E-Commerce Operations and Business Process Changes 5th International Conference on Electronic Business: Enhancing Logistics & Supply Chain Competence through eBusiness (ICEB 2005); Chinese University of Hong Kong, Hong Kong. Seethamraju R (2005) Impact of ERP Systems on Managerial Roles - A Case Study First Asia/Pacific Research Symposium on Accounting Information Systems; University of Melbourne and Special Interest Group for Accounting Information Systems (SIG-ASYS), Melbourne. Seethamraju R (2005) Relative Importance of Web Quality Dimensions Eleventh Americas Conference on Information Systems (AMCIS 2005); Association for Information Systems (AIS), Omaha, NE, USA. Seethamraju R, and Borman M (2005) An Exploratory Study of the Influence of Group Formation Choices on Academic Performance 20th Annual Conference of the International Academy for Information Management (IAIM 2005); International Academy for Information Management (IAIM), Las Vegas, Nevada. Seethamraju R, and Borman M (2005) Group work - the influence of formation, working and feedback on academic performance Higher Education Research and Development Society of Australasia Annual Conference - HERDSA 2005; Institute for Teaching and Learning, Sydney. Seethamraju R (2004) Effectiveness Of A Post-Graduate Program In Enterprise Resource Incorporating Sap R/3 Journal of Informatics Education and Research, 6 (1), 29-42. Leonard J, and Seethamraju R (2004) A Thematic Approach To The Development Of Business Process Awareness In Students 15th Australian Conference on Information Systems (ACIS); AIS Electronic Library (AISeL), Hobart. Seethamraju R (2004) Measurement Of User-Perceived Web Quality 12th European Conference on Information Systems (ECIS 2004); Turku School of Economics and Business Administration, Finland. Seethamraju R (2003) Consequences of e-business initiatives on business process performance - A model for analysis 3rd International Conference on Electronic Business (ICEB 2003); Academic Press. Blockchain technology and the accounting profession: an exploratory study; Engaged Research Scheme. WIL: Think like an auditor; Education Innovation Grant. Service Availability Mapping for improved Public Health Service Delivery in Regional India; Australia India Council Grant 2014-2015.